Home Articles ‘Aik Zaroori Baat’ Jo Bachoun Ko Samjhani Hai! ‘Aik Zaroori Baat’ Jo Bachoun Ko Samjhani Hai! The first line of protection for children is their family. They are primarily responsible for creating a safe and close-knit environment where their little ones can feel safe, loved and secured. It is important that throughout their childhood discovery years parents educate the younger ones on all necessary precautions to safeguard their wellbeing. This ensures that their children aren’t caught off-guard, are able to take appropriate actions and bring issues to notice before it is too late. Despite the importance of such education, it remains somewhat of a taboo topic in Pakistan. However, with the recent rise in sexual abuse incidents against children in Pakistan, there is an immediate need for awareness and education in our society regarding this issue. We cannot just wait for outside agencies to resolve the matter for us. We need to take matters in our own hands and educate our children about the dangers that lurk around us all. A Much Needed Initiative By Knorr! In a bid to stop sexual exploitation of children, Knorr has kickstarted its #AikZarooriBaat campaign to sensitize children who are most vulnerable to these problems. While this is a tricky subject to talk about, the brand has made the discussion child-friendly by rolling out a series of videos, featuring its famous animated characters ‘Chuck and Chatty’. The purpose of these videos is to educate children on how to stay safe in an easily understandable manner that would appeal to them. The first and most basic rule that every child needs to learn is that strangers are dangerous and should not to be trusted. They should not talk to them, go anywhere with them and accept any item (be it gifts/toys/candies) from them. Children hence need to not accept anything from anyone without their parents’ permission and only interact with people their parents allow. 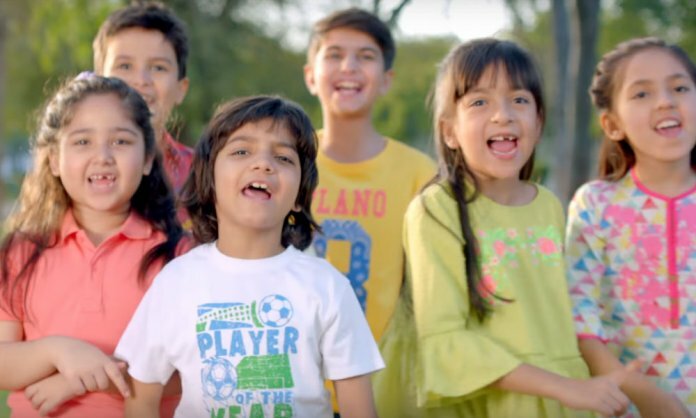 Here’s How Knorr Told Kids About Strangers In Its Video! Children need to be educated from an early age that no one can touch them in any way that makes them uncomfortable. They hence need to understand the difference between good and bad touch and that they have the right to control who can have any sort of physical contact with them, even if it is to just pat them on the head. Watch How Knorr Teaches Kids About Bad Touch In This Video! Kudos To Knorr For This Brilliant Initiative! The brand has upped the ante by taking the first step in educating the country on just how to overcome the issue at hand. Parents and caregivers now need to take the discussion forward and use these videos as conversation starters for more detailed discussions on the topic with their children. More importantly, they need to give children the confidence to speak up without fear so that they have the courage to raise their voices against any wrongdoings. Let’s all vow to create a safer environment for our children! Previous articleCoca-Cola Creates History as FIFA World Cup™ Trophy Arrives in Pakistan! Next articleNestlé Unveils Some Beautiful Photographs Narrating the Story of Milk!